Whatever you’re in the mood for this weekend, Third Place Commons is offering up something for you! 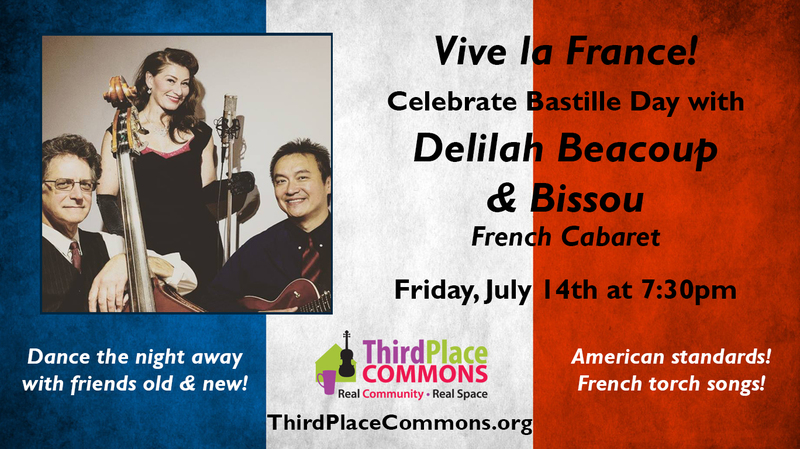 Want to celebrate “le 14 juillet” in fine French style? Bastille Day is France’s version of Independence Day and it’s celebrated on July 14th. So this Friday at 7:30 PM, the Commons welcomes the fun French cabaret of Delilah Beaucoup & Bissou. Complete with costumes and plenty of joie de vivre, the band will serve up a highly danceable selection of French torch songs, vaudeville tunes, and of course, American standards. Don’t forget your beret! 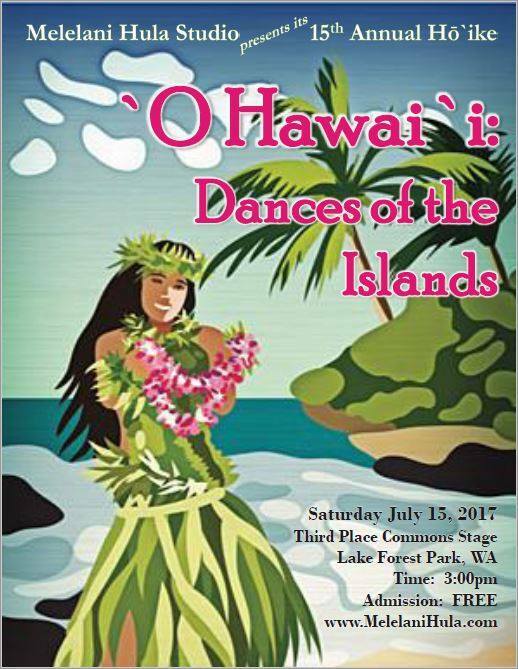 Saturday at 3 PM it’s time to bring the aloha spirit (and your favorite Hawaiian clothing) when Melelani Hula Studio presents the 15th Annual Hō`ike: `O Hawai`i at the Commons. A beautiful celebration of dance and music that will surely leave you saying “mahalo” for a wonderful day! Sunday it’s a double-whammy of fun, starting with the popular annual Crafts Day at the Lake Forest Park Farmers Market. Don’t miss your one-day-only chance to shop a wide array of jewelry, clothes, handmade cards, decorative items, and other unique handicrafts by local creatives from across the region. Unique creations for everyone, plus all your regular market favorites! 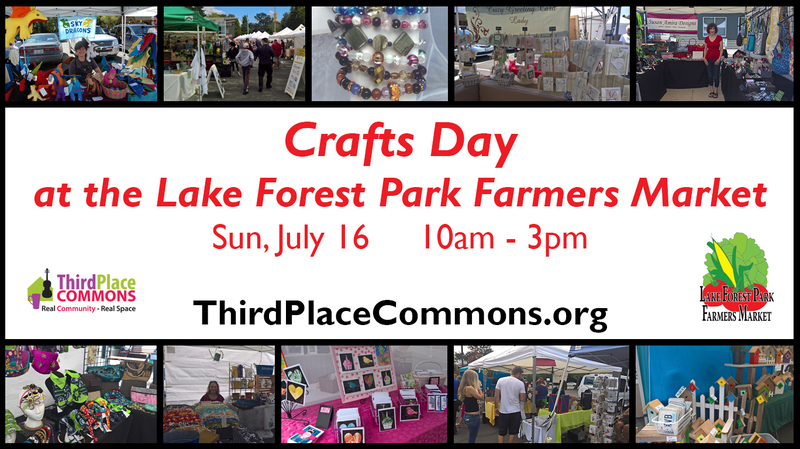 The LFP Farmers Market takes place this Sunday (and every Sunday) from 10 AM to 3 PM at the corner of Bothell Way NE and Ballinger Way NE. Then after your shopping spree, head inside to Third Place Commons for a 2 PM performance by USA Dance Seattle. 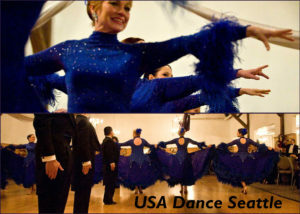 Calling themselves dance ambassadors, this ballroom dance formation team is determined to spread the joy of ballroom dancing through colorful costumes, feel-good music, and lively performances. You won’t want to miss it! Check the Third Place Commons online calendar to get the scoop on these and all the other (always) free events at the Commons this month! Previous Post: Gorgeous gardens, art, crafts, music, and more! Next Post: Say YES to Access!